We have 10 classrooms – some small enough to fit just 4 people, others big enough to hold up to 9 people. While you’re with us, you’ll also have access to an open computer room with a line-up of Apple iMacs and free wifi access. 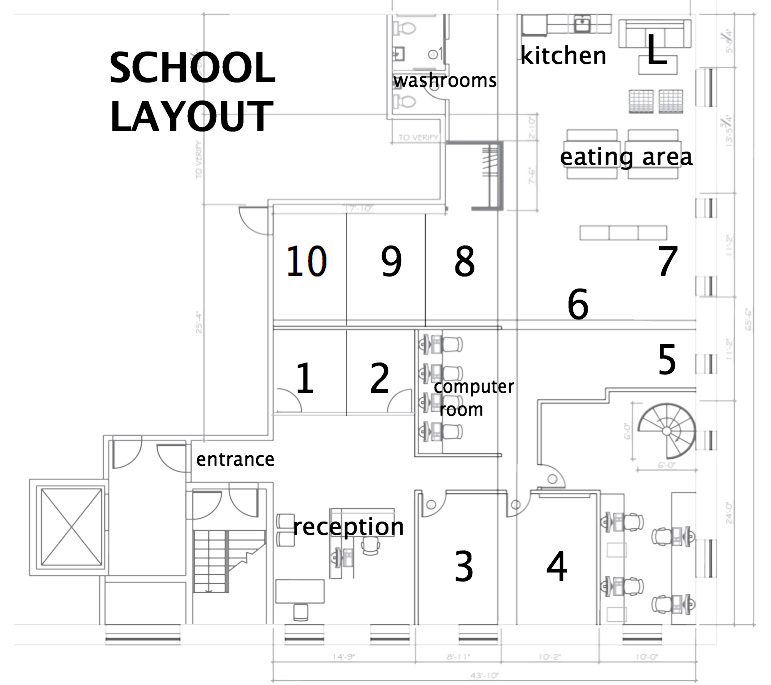 Most people’s favorite part, however, is the kitchen, eating area and lounge – definitely the heart of CLC! In all, we’ve been careful to design our facilities to support learning, sharing- and happiness! Our beautiful, sun-filled space has wood floors, natural materials and plants. The layout is open, creating a sense of connectedness and community. And we invite local artists to exhibit their work on our walls, bringing added beauty and inspiration into the space. CLC is available to companies or groups looking for a place to hold workshops or small conferences. We want to actively support the growth of our partners, and are happy to exchange the use of our space for services. We are open to creative solutions. Furthermore, if so desired, we will gladly announce and promote your event both at our school and to our network of partners.